Stay connected to the luminous world of Lancaster by following us on our social networks, by regularly receiving our newsletter or by using our various online services! 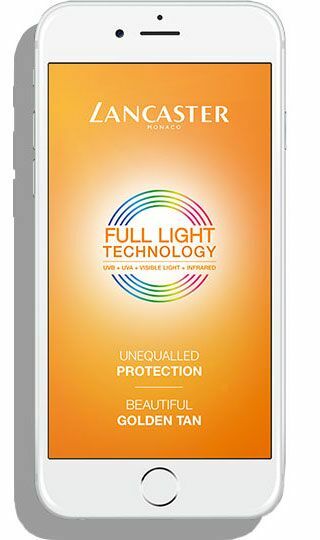 With the Lancaster Sun Timer, monitor your sun exposure time for better skin protection! By entering your location, basic information on your skin type and the sun protection level applied (SPF), our Sun Timer will calculate to the nearest minute if you need to reapply sunscreen or if you need to stop your sun exposure. Worry no more. When time runs out, the app will buzz to let you know if it's time to re-apply your sun cream or get out of the sun.